The “out” command, also called the “away” command, lets your dog know that they should leave the area they are in. Although this command isn’t widely taught, it’s one of the most versatile and useful commands to make life with your dog easier. “Out” or “away” commands are sometimes used by hunters to send their dogs into a field or waterway to fetch game. “Out” used during hunting is typically taught by sending the dog to a box or pole several feet away in a field. For the average person who wants their dog to stop begging or to walk away from another dog, there is no need for poles or fields to practice in. You can teach a dog the “out” command right in your living room or backyard — and we’ll cover that method in this article. Use the “out” command to stop your dog from begging. Use it to help you deal with pushy behavior. It’s useful around small children. It’s also useful for redirecting problem behaviors such as digging and chewing. It can help puppies and older dogs get along. It can help your dog learn how to behave around new dogs. 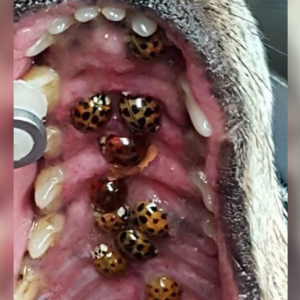 And it can prevent dog bites. Have you ever invited guests over to watch a game? Everyone is sitting on the furniture munching on snacks, and your dog keeps going from person to person begging for food or trying to sneak snacks off the table. Well, what if you could teach your dog to stay out of the area without crating them or telling them to lie down the whole time? A simple “out” command could accomplish that. Teaching “out” is like training most basic obedience commands. The first step is showing your dog what the command actually means. Once your dog understands the meaning of the command, you can teach them how to obey the command in everyday life — even when you don’t have treats on hand or your dog doesn’t feel like listening. Grab several large treats and go somewhere where your dog will be able to see the treats easily when you toss them. A driveway (while your dog is on a long leash), white carpet, tile or wood floors usually work well for this. Avoid areas where the treats will be buried, such as grass or shag carpeting. Call your dog over to you, show them the treat and slowly toss the treat 5 to 10 feet away from you while also pointing your index finger. The idea is to make it look like you’re pointing to where you’re tossing the treat while tossing it with the same hand. When your dog goes over to the treat, praise them. If they do not walk toward the treat, use bigger treats or slowly toss another treat — but not as far this time. After your dog finishes the treat, tell them “OK!” and encourage them to come back over to you. When your dog returns, repeat the exercise. Practice until your dog starts to walk to where you point when you say “Out” before you toss the treat. As soon as your dog starts to walk away from you, toss the treat past them for them to find. As your dog improves, wait until they get farther away before you toss them a treat. Practice until your dog will walk 10 feet away without being shown a treat when you tell them “Out” and point to where they should go. Once your dog is at least 10 feet away and waiting there, you can toss them a treat. 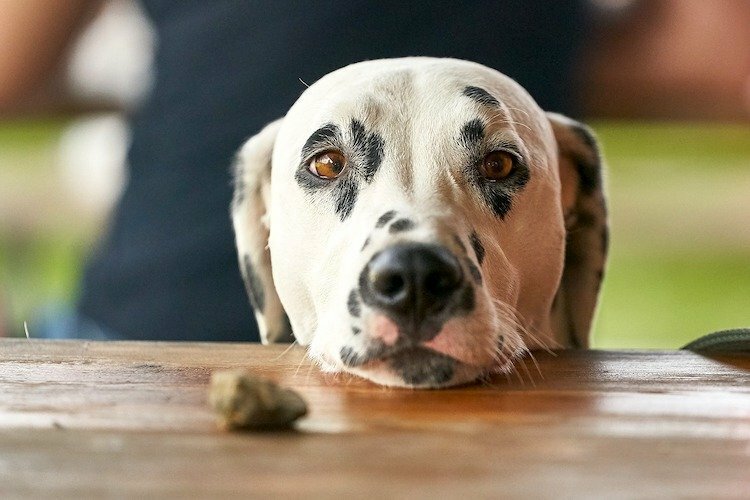 Have you ever wondered how to teach your dog not to beg? Not feeding table scraps or leaving food where your dog can reach it is the best place to start. Many dogs are opportunists, though, and will persistently stand underfoot in the hopes that you’ll drop something or change your mind and feed them. You can teach your pup to lie on their place or do a “down-stay” to stop begging — which are excellent things to teach in general. But there are times when you want your dog to be able to walk around without bothering your dinner guests. Once your dog understands what “out” means (use the instructions above), practice the command in areas of your home where people tend to eat. This might include your kitchen, dining room, living room or back patio. For this training, use your dog’s kibble or dog treats (and not people food) as rewards. When your dog has generalized the “out” command to include different areas of your home, start using the command when your dog begs in the eating areas. If your dog obeys your “out” command and leaves the area and stays out of that area, toss them a treat after 5 minutes. If your dog does not obey or tries to re-enter that area without being told “OK,” stand in front of your dog and walk toward them, herding them out of the area with your body. Your attitude should be firm and calm while you do this. Imagine that you are a brick wall or a drill sergeant. Once your dog is out of the area, stand still, blocking your dog’s way back into the area. Wait until your dog stops trying to get past you and into the area and shows signs of obeying your command — such as leaving the area completely, lying down or looking away from the area. When your dog is no longer trying to get back into the area, return to the area yourself to see if they follow you back. If your dog follows, walk toward them again until they are out of the area. If your dog is food aggressive or aggressive in general, do not use this method without the help of a professional dog trainer or with proper safety precautions, such as a muzzle or back tie. Ever wondered how to teach your dog not to be pushy? Even a lovable, sweet Golden Retriever might struggle with this one from time to time — after all, your guests are there simply to pet them, right? Your dog’s issue might be more serious, such as a respect issue that needs addressing. Or perhaps you have an overly enthusiastic, 75-pound snuggle-bug (as I do). Or maybe your dog just adores new people. Whatever the reason for their pushiness, sometimes your dog simply needs to learn how to respect personal space. Teaching your dog not to be pushy and instead to respect personal space can also make life with a toddler and a dog easier. If your puppy lives to mouth your 2-year-old, or if your Labrador tends to knock over your 3-year-old in play, a simple “out” command can help keep the peace. First, teach your dog the meaning of the word “out” from earlier in this article. Practice the command in different rooms of your home and outside in safely enclosed areas or on a long leash. Do this until your dog can obey the command in a variety of locations. When your dog becomes pushy, such as nudging you, trying to climb onto your lap uninvited, barking at you for attention or pawing at you, say “Out” in a calm but firm tone of voice and point to where your dog should go. If your dog obeys, reward them with a treat if they stay out of the area for at least 5 minutes. Do not reward them as soon as they leave, though, or they might learn to act pushy and then leave only to get a treat. If your dog disobeys your command and doesn’t leave, firmly walk toward them, making them back away at least 10 feet. Don’t be afraid to bump into your dog slightly if they are not moving, but be careful not to step on their paws or tail. Once your dog is out of the area, walk back over to where you were previously standing or sitting. If your dog follows you, repeat walking them out of the area. When you are ready for your dog to come over to you again, tell them “OK!” If you want to pet them, give a command such as “sit” first. When they obey, you can give them your attention again. Having them perform a command before interacting with them again helps set the tone for the interaction and teaches your dog to be respectful. If your dog is pushy toward someone else, such as a guest or a child, and they ignore your “out” command, you can enforce the command so that your guest does not have to. Get between your dog and the other person and walk toward your dog until the dog is at least 10 feet away from your guest or child. When the dog stops trying to return to the person, walk away from the dog to see if they will stay out of the area. If your dog tries to go back over to the person without being invited, repeat walking them out of the area. Do this until they give space to that person unless invited over. 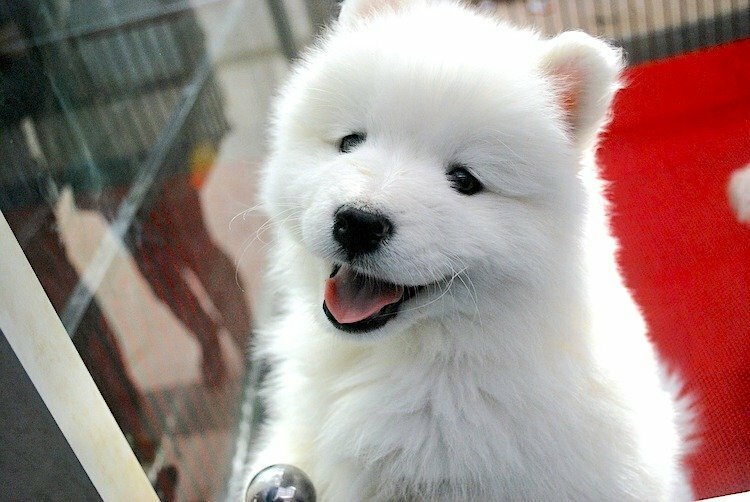 Are you planning to bring home a new puppy soon and wondering how to introduce a new puppy to your current dog? Teaching both dogs the “out” command can help them get along. Or … does your dog get overexcited around other dogs or play too roughly? A solid “out” command can communicate to your dog when they should give another pup space and calm down. You can use “out” in a variety of situations to prevent dog fights and anxiety. If your new puppy doesn’t leave your older dog alone, teach your puppy what “out” means by following the steps above. Tell your puppy “Out” and gently get between your puppy and older dog and walk toward the puppy until they walk away from your older dog. Once your puppy is out of your older dog’s space, distract the puppy with something else, such as a training session or a toy. Be gentle when you walk toward your puppy, being careful not to step on their tail or scare them. 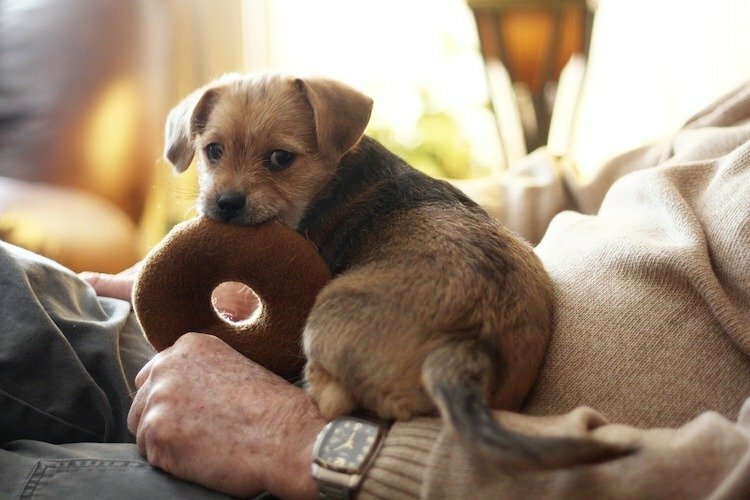 If your older dog tries to steal your puppy’s food while they are eating, command the older dog to leave the kitchen by telling them “Out,” enforcing the command by making them leave if they do not obey. You can also prevent food theft by feeding both dogs in closed crates and not free feeding either dog. 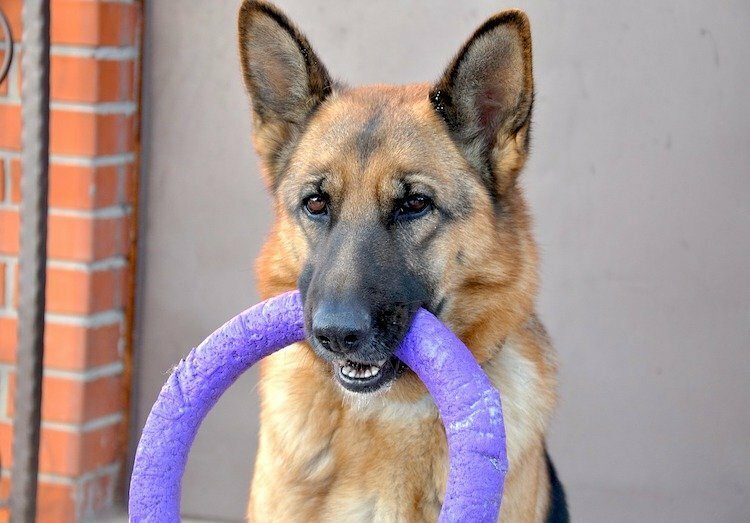 If one dog steals a toy from another toy, take the toy from the thief, return it to the dog that had it first and tell the thief “Out.” If they do not leave the room, walk them out of the area and prevent them from coming back by walking them out of the area again whenever they try to return. Repeat the training until they are willing to obey and stay out unless invited back. If your dogs gets possessive of a person, area or object around your other dog, tell the possessive dog to leave the room by commanding “Out.” If the aggression is severe or directed toward a person, hire a trainer to assist you with this issue. Do not directly confront the dog on your own without taking the appropriate safety precautions. If your dog is greeting another dog and beginning to get pushy or the other dog is showing signs of annoyance, tell your dog “Out” and quickly move them along. When they obey and follow you, reward them with a treat so they will get better at focusing on you around new dogs. If your dog tends to play too roughly, recruit a friend who has a dog with whom your dog gets along well. Have them play together while your dog wears a 15-foot-long drag leash clipped to a padded back clip. Practice telling your dog “Out” periodically and then reeling your dog in with the long leash if they ignore your command. When they obey willingly, give them several treats. Then let them calm down, tell them “OK!” and let the dogs resume playing. 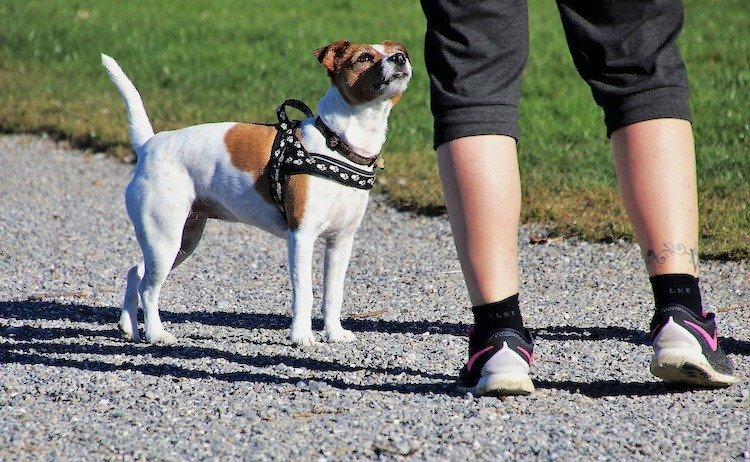 While you are practicing the training with your dog, have your friend call their dog or reel them in with a long leash as well, so that their dog is not following your dog while they walk away. Do this only if neither dog has ever shown signs of aggression — this works best for dogs who are friendly but get too excited. When you’re bringing a new dog into the family, establish your household rules for both dogs — and then enforce these rules so the dogs don’t have to discipline each other or defend themselves. Preventing your puppy from pestering your older dog can help your older dog accept the new pup and feel less anxious. And preventing your older dog from bullying the new puppy can also help the dogs peacefully co-exist and prevent fights over dominance status as the puppy gets older. “Out” is a wonderful and useful command, but there are times you shouldn’t use it. 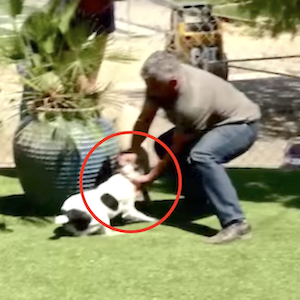 Because enforcing “out” involves getting into a dog’s personal space to walk them out of an area, don’t use it with aggressive dogs unless you have the help of a qualified trainer and have taken safety precautions to prevent a bite. 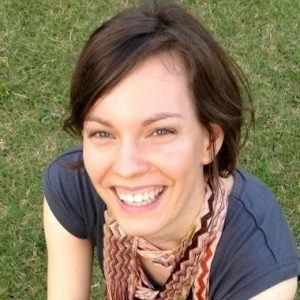 “Out” can still be a wonderful command for establishing boundaries. The dog may need to wear a muzzle around the home until the aggression improves, though, and you should teach the command using a back-tie so you can make the dog back away from something using a long leash and not by moving into the dog’s personal space. For the same reasons, don’t use “out” with unfamiliar dogs either. Without knowing a dog’s level of socialization or bite history, you cannot predict how a strange dog will respond to you moving toward them. Finally, if your dog has a history of trauma or severe anxiety around people, don’t use “out” while your dog is being resocialized and is still fearful. Moving into a fearful dog’s space can be scary for a dog who is uncomfortable around humans. If the dog feels threatened by the movement, you could be bitten. It’s important to spend time teaching your dog what the “out” command means so they will understand what you expect of them and have the skills necessary to obey you. Once your dog understands the meaning of the command, you need to it in a variety of locations. Most dogs do not generalize well, so this practice will help your dog perform it wherever they happen to be. 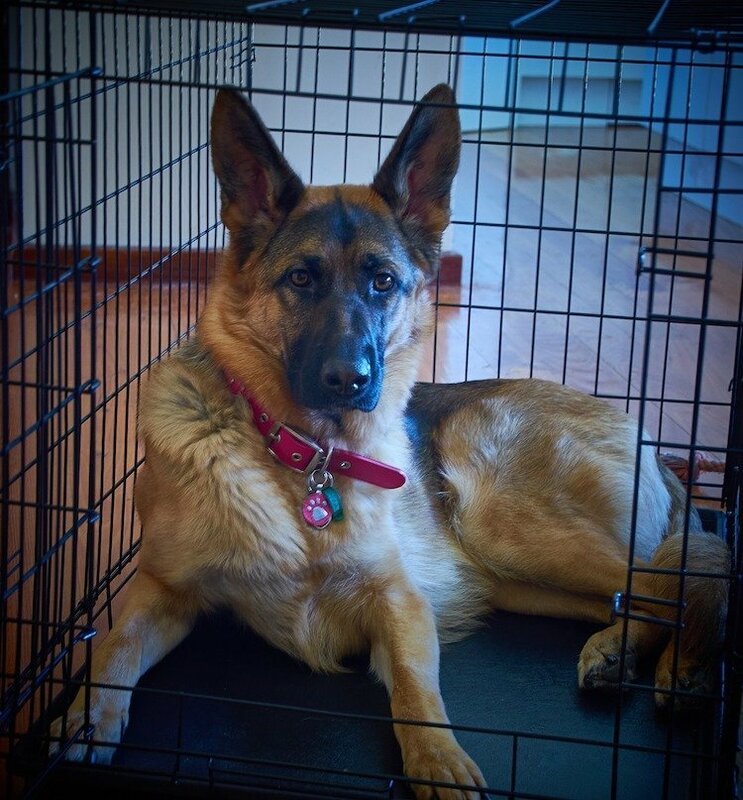 The more consistent you are about keeping your dog out of an area they’ve been told to leave, the better they will be about respecting that space and staying out until invited back. 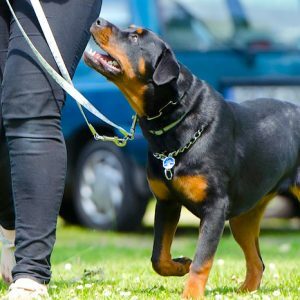 Teach an aggressive dog the “out” command only with the help of a qualified trainer, and follow the appropriate safety precautions to avoid a bite. “Out” can be a great command for aggressive dogs, but it needs to be taught safely, with extra measures taken to avoid close contact since it can be viewed as confrontational by an aggressive dog. For the same reason, do not use “out” with an unfamiliar dog, who could have unknown aggression issues. When using the “out” command with puppies or shy dogs, be gentler when you enforce the command to avoid scaring them with your movement. If your dog is severely afraid of people, do not use “out” while they are still learning to trust humans because any movement toward them could feel frightening. Is It Ever Too Late to Start Training a Dog? What’s Wrong With Dog Training on TV? Plenty.